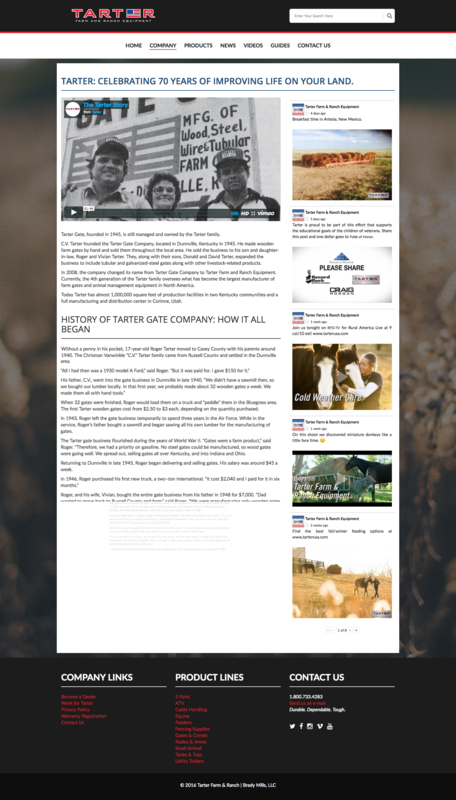 The largest manufacturer of farm and ranch equipment in North America, Tarter needed a full overhaul of their existing website. We worked with the company to streamline their content and strategize new methods of reaching their target demographic. Popular product lines are highlighted on the homepage, along with most recent videos, making it easy for the visitor to find information. A keyword search utilizing the site’s search bar yields in-depth results from the site’s content, including products, videos, and news. This client sells through their network of over 10,000 worldwide dealers. The previous website did not make this clear, causing confusion and frustration among users. We addressed this by including a dealer search above-the-fold to more easily help visitors find their nearest retail dealer. For over 70 years this company has been serving the farm and ranch community. Capturing the company’s culture and history was important to the manufacturer. 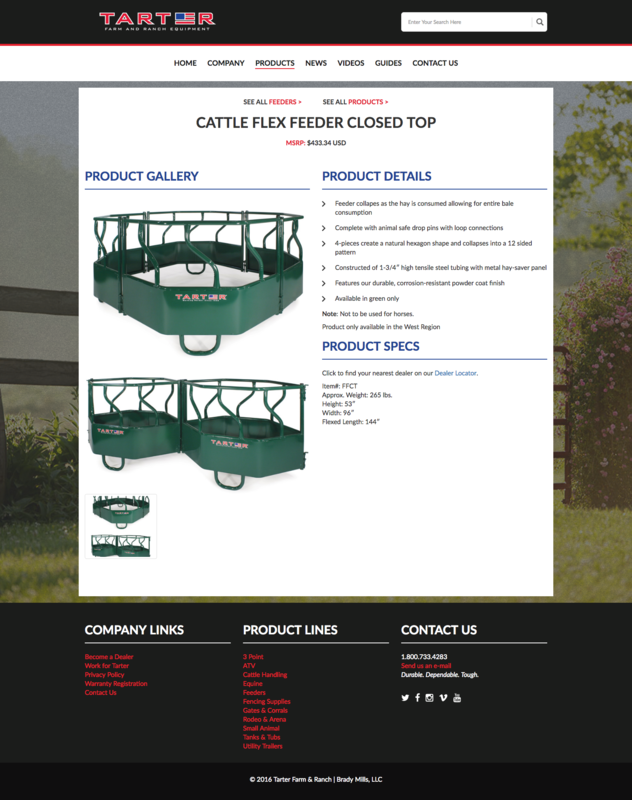 The product pages feature large images, lightbox image galleries and concise information about the product and product specs.